I guess the title of this post could pretty much sum up my weekend and that’s fine by me. Actually, I started to realize that most of my posts and pictures have been dominated by November Project workouts and shenanigans, but I am perfectly content with that. To me, my ideal day would consist of running with good people, brunching or lunching up a storm, and a hike in the mountains or day at the beach. So, while this chilly February weather won’t exactly allow me to do the latter, I am still able to fill my free time with workouts and awesome company. They say that if you work hard enough, you will find what you are looking for. That or does the saying go, when you stop actively looking, things work out? Honestly I despise those cliches, mostly because people use them to encourage us single folks that things work out. People, times change and I’m quite enjoying being 23 and single. But, if it’s in the case of friends and work, then yes, I have to thank my lucky stars that I’ve found a group of people who love to work out and have the right mentality – work hard, play hard. I really should start making note of the change in temperature, almost like a personal almanac. Because, who would have thought that I, a California girl who quivered at the thought of sub-50 temps, would brave the elements in 15F with 0F wind chill? Well, I guess when it’s in the name of fitness and friends, I’m your gal. But really, waking up Friday to that sort of temperature just made me looking forward to spring that much more. Friday’s workout was practically in my backyard in Madison Square Park. We went for about 30-35 minutes, alternating pushups, laps around the park, and dips on some park benches. Of course, a workout isn’t complete without a few funky pictures and well, when you give us a snowman, we will definitely caption it with some “Frozen” quote. The rest of the day was uneventful and the lack of sleep from the week left me watching “Hart of Dixie” in my bed and passed out by 10:15pm. Friday night rager. Coach John is leading weekly long runs for those prepping for the upcoming NYC Half in March and while I’m not racing in March, I decided to tag along. 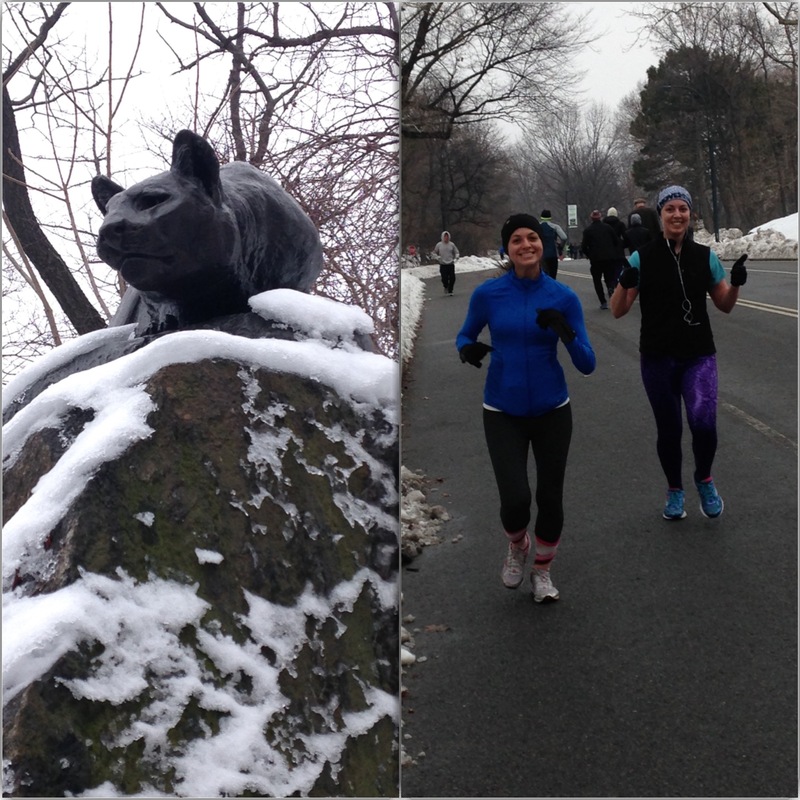 We ran seven miles of the course, which took us out and around Central Park. I started out with some of the folks, but we all started to slowly pace into our own groups. 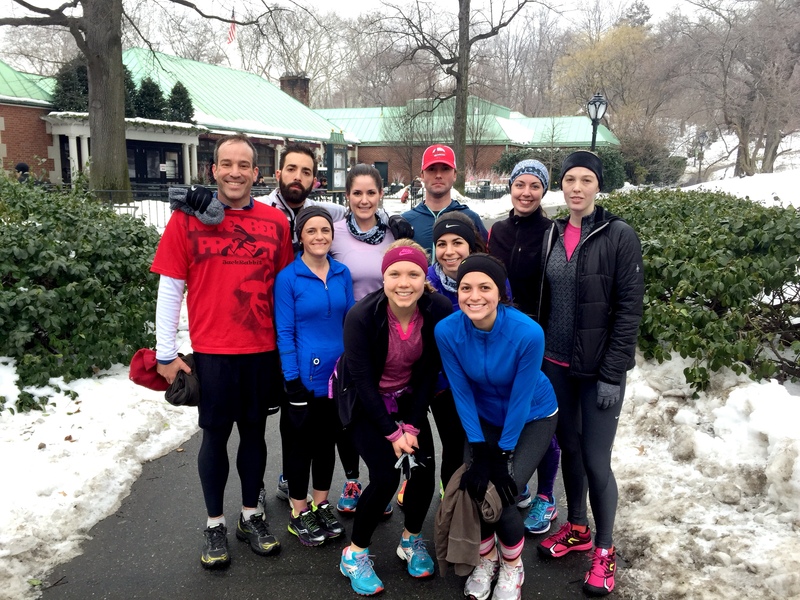 What’s awesome about running groups is that there are so many people running different paces, that you are bound to find someone to run with or someone to help push you to run harder and faster. With a mile to the subway, 7.5 around the park, and a mile or so home, I’d call it a successful morning. We spent quite awhile stretching back at NYRR and while I didn’t end up sticking around for brunch (although I did have some fear of missing out), I jogged to the local Juice Press with a few friends to pick up our free Saturday morning juice. For those of you newbies like myself, Juice Press is offering free juice (a whopping $10 savings!) every Saturday for people who post an Instagram picture of them running, or something of the sort, using the above hash tags. I may have missed out two weeks in a row due to poor timing and strict employees who stop the promotion right at 12pm. Not cool. But, this week, with the help of my NP buddies, we made it right on time and made use of the free samples fridge to test out our options. 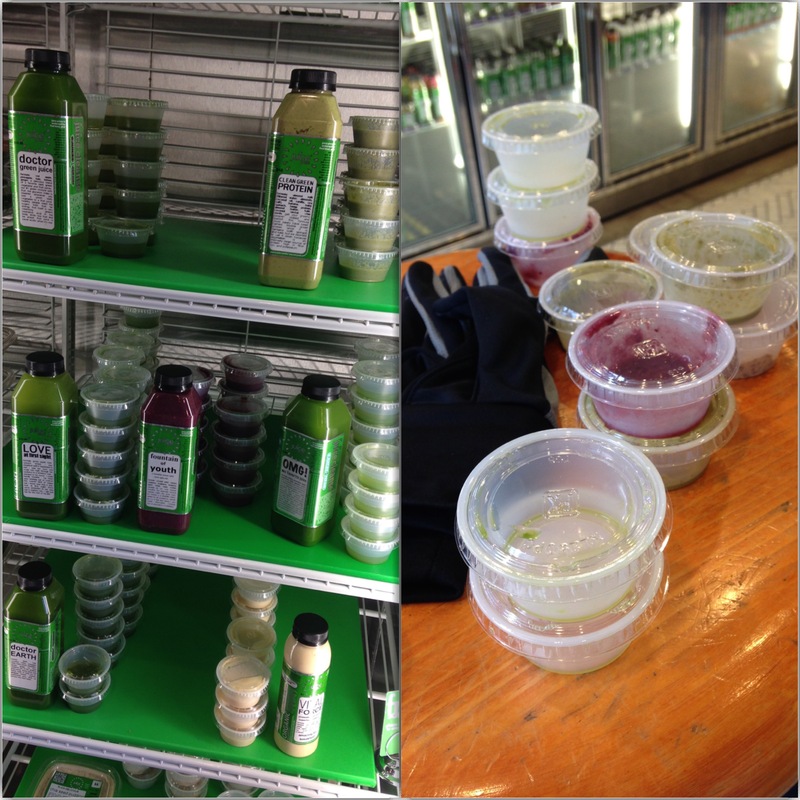 Of course each of us probably sampled 10 juices and then all went with the Mint Chip smoothie or Clean Green Protein. Had I not been starving, I would have gone with the Doctor Green Juice, but was looking for something with more substance. Maybe I’ll try that one next week. The rest of the day was spent catching up on various television shows and making a list of errands, recipes, and crafts for the remainder of the weekend. Sometimes it occurs to me that I spend way too much time on the computer, watching TV, staring at the bright screen, and not enough time reading or educating myself. Oh well. Yes, we do more than just sit around and watch movies. Actually, we have gotten much better about going out once every couple of weeks (or once a week) and have tried hard to move past the one or two bars we always go to, just out of convenience. On Saturday, we tested out the Hair of the Dog and let’s just say it’s quite a popular joint. As long as they’ve got good music (preferably something uber upbeat…like this song from the Great Gatsby) and not too many people pushing you around, it’s a worthy location. I’m pretty sure neither Hope, nor Lindsay had seen me dance so much than they did to that song. I don’t always dance, but when you give me some killer music, it’s game time. Sunday was back to my buds from November Project with some speed work and hill training. We all volunteered to put our bodies through 8 hill repeats, the equivalent of 2 miles (w/ ~3 miles recovery) and while it was tough, it was pretty fun. 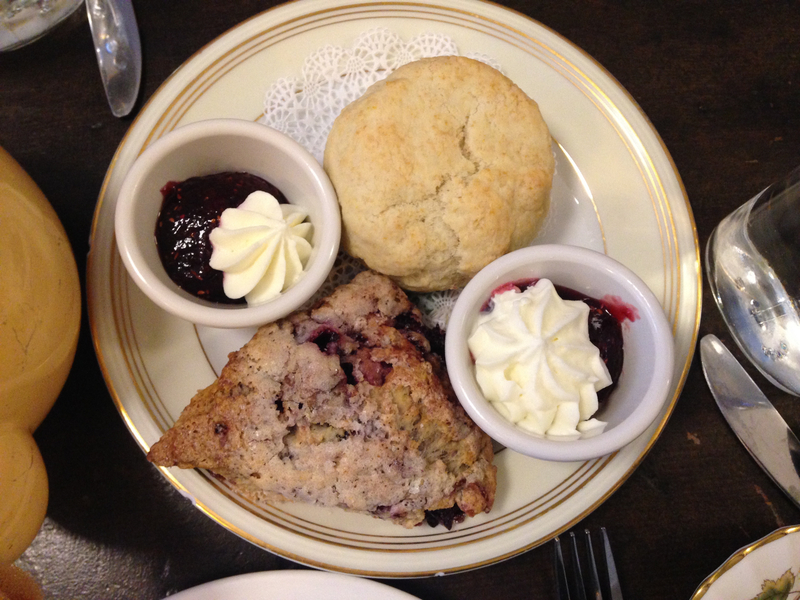 As a few people went out to brunch at a diner, I met up with Lindsay to grab a scone from Alice’s Tea Cup. There may have been a slight feeling of FOMO again and I’m sure you are shocked that I wouldn’t jump at the opportunity to eat at a diner. Usually, that’s my jam, but I had been thinking (maybe dreaming) of scones for the past two days and so a different sort of jam was on my mind. Pun intended. This entry was posted in Eating Out, Healthy Me, New York, Running and More and tagged Central Park, friends, juice, Juice Press, manhattan, New York Road Runners, November Project, NP, NYRR, running, weekend, willrunforjuice by Kaitlin. Bookmark the permalink. I LOVE Alice’s Tea Cup. Their scone eggs benedict is to die for. I am curious how you budget for food/drinks in your daily NYC life. I’m jealous that there was a free juice promo, that’s awesome! You know how I feel about NP. It really just feels like home. Your weekend sounds ideal and I really hope we can join you for a run next weekend (it will be better so KBT can go make friends that run fast so we can run slower together!). A lot of people don’t “get” November Project which is why they started the #justshowup hashtag. It’s true. It’s hard to understand it until you’re a part of it but everyone who is knows that NP isn’t just a workout, it’s a social life.